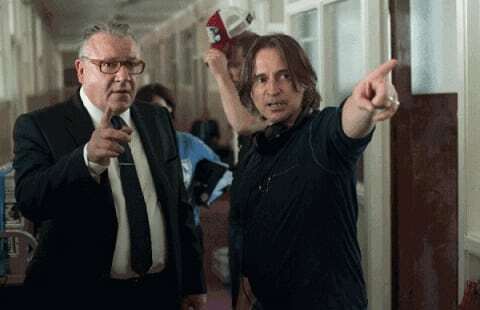 Robert Carlyle is moving in to directing films, and his first feature sounds very interesting indeed. Starring the great Ray Winstone, Emma Thompson and Carlyle himself, The Legend of Barney Thomson is a serial killer feature that sounds wildly hilarious and yet very dark. The first image can be seen above. Myriad Pictures announced Tuesday that principal photography has begun in the UK on the darkly humorous film which will star two-time Academy Award winner Emma Thompson (Saving Mr. Banks, Sense and Sensibility), Ray Winstone (Snow White and the Huntsman, The Departed, Hugo), and Carlyle, who will also play the title role. The script is based on a widely popular series of novels by Douglas Lindsay and was adapted for the screen by BAFTA award-winner Colin McLaren (Donkeys) and Richard Cowan. Myriad Pictures is handling worldwide sales on the film. In The Legend of Barney Thomson, Carlyle plays the title character, a downtrodden Glaswegian barber who inadvertently stumbles into serial murder, with both absurd and macabre consequences. Complicating matters further, Barney’s formidable mother Cemolina (Thompson) cheerfully emasculates him at every turn, causing a bloody and comedic chain of events. While Barney clumsily tries to cover his tracks, Glasgow police inspector Holdall (Winstone) fights his own battles within his inept homicide department as he tries to solve the crime of the century. 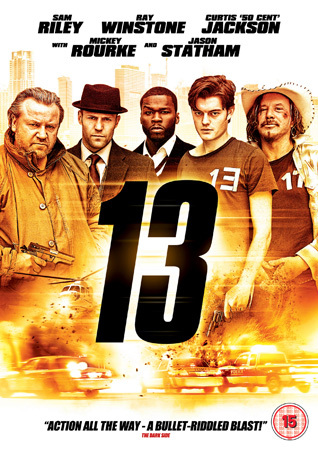 A black comedy of errors unfolds as the police try to capture the murderer at large. Additional cast members include Brian Pettifer (Vanity Fair, Donkeys, Amadeus), Sir Tom Courtney (Quartet, The Golden Compass), Martin Compston (Filth, The Disappearance of Alice Creed), James Cosmo (Braveheart, The Chronicles of Narnia, Trainspotting), Ashley Jensen (The Lobster, How to Train Your Dragon), as well as Kevin Guthrie (Sunshine on Leith) and Stephen McCole (Rushmore, The Acid House). Academy Award winning prosthetic makeup designer Mark Coulier (Harry Potter franchise, The Iron Lady, X Men First Class) provides the prosthetic makeup; Fabian Wagner (TV’s “Sherlock,” “Game of Thrones,” Frankenstein) serves as the director of photography on the film, and Ross Dempster (art director of Godzilla, 50/50, and 2012) is the project’s production designer. The Legend of Barney Thomson is currently shooting in and around the Glasgow area.